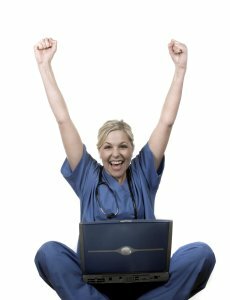 Calling all nurses and midwives; Cochrane UK has something new for you! I’ve learned that you find it helpful to have relevant evidence shared with you on social media and in quick, easy formats. With revalidation on the horizon, there’s no better time to give you more of what you need. As a former nurse, I’m particularly delighted to be exploring new ways of working with practitioners. We’ve called it ‘everyday’ because we’ll be focusing on common topics or those that are applicable across specialities. It also acknowledges that everyday practice should be evidence-based practice! Since June, we’ve been creating blogshots to share snippets of evidence on Twitter, Facebook and Pinterest. We asked people for some feedback on the design, made some changes and started sharing them. They are proving to be really popular. Each of our new series has its own blogshot template, so you can quickly identify them, and its own Pinterest board. You can download and use them from our Cochrane UK website here, and you’ll also find links to all the elements of the series on our new pages for Evidence for Everyday Midwifery and Evidence for Everyday Nursing. While most will feature Cochrane evidence, we’ll also use them to share other relevant evidence, news and evidence-based resources. Most weeks we publish a blog on a Friday, with extra blogs to accompany campaigns – or launches! This month, all the blogs will be part of the new series and will include guest blogs by midwives and nurses. If you’re a midwife/nurse blogger, do let me know! I’m also really keen to include reflections from experts (that’s practitioners and patients) in my blogs about evidence and will be looking to do this often. 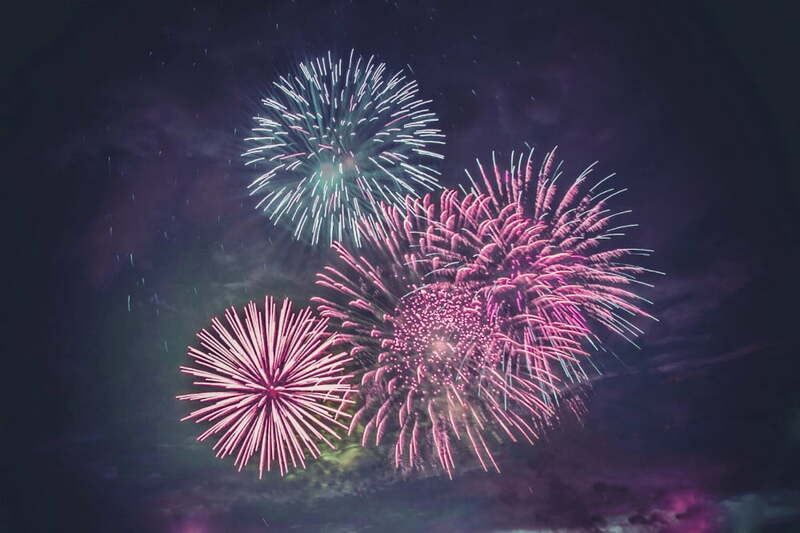 We were delighted to win the UK Blog Award 2015 for the best health blog and thought it a good idea, following that, to run a survey to find out whether our readers are who we think they are, what they like and what we could improve. It’s still open and I’ll be blogging about what we learn from it in the new year. Most telling so far is the text analysis of the comments about what they like best about the blogs. The words that come to the top are ‘clear’, ‘interesting’, ‘accessible’, ‘short’ and ‘relevant’. If you haven’t taken the survey already, please do, and tell us what works for you or what changes you’d like to see. It’s brilliant to have the support of WeMidwives and WeNurses as we embark on this new venture, as well as lots of lovely individuals I’ve connected with through social media. 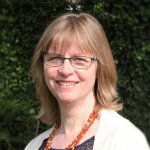 You can read a blog from WeNurses founder Teresa Chinn on Evidently Cochrane here, explaining why she welcomes our latest initiative and celebrating the value of short, sociable and shareable content. We’re working with The RCN to look at how they can help bring us and our content together with nurses, including plans to share the latest from Evidence for Everyday Nursing in their fortnightly bulletins. We’re also thrilled to announce a new partnership with the British journal The Practising Midwife. They have an established Cochrane Corner, but for 2016 they are teaming up with us and we’re looking at co-writing Cochrane Corner pieces as blogs. That’s just the beginning so watch this space! They are launching their new website soon, so the timing is great for doing something new. So far, most of the conversation about our blogs has happened away from Evidently Cochrane, on Twitter, but I am really hoping that this will change and that the comments function will be used by practitioners for reflection and discussion. If you’re a bit unsure about how these work, take a look at the WeCommunities guide here. We’re hoping there will be lots of these opportunities for people to come together to discuss evidence and practice, starting with a WeNurses chat about when to re-site peripheral venous catheters, which we’ll be co-hosting on November 17th. We hope to be helping with a WeMidwives chat soon too. We’ll also be continuing our WeCATS chats – Critical Appraisal Sessions on Twitter, which is a collaboration between Cochrane UK, WeNurses, CASP UK and The Mental Elf, to help you improve your skills at understanding research papers. The next is on December 17th. This is a bit of an experiment and we’ll need to know whether we’re succeeding in reaching you in these ways. Please spread the word and share content you find useful. Our blog survey is a way to tell us about yourselves and what you like. Do comment on blogs and talk to us (@ukcochranecentr and @SarahChapman30) and each other on Twitter using the hashtags #EENursing and #EEMidwifery. If Facebook or Pinterest are your preferred platforms, you’ll find us there. Is that all? Probably not! I’m really looking forward to seeing where we can take this together! Editors note: We are delighted that these new series are proving popular and plan to introduce a series for Allied Health Professionals, Evidence for Everyday Allied Health, in February 2016 and for patients/anyone making choices about their health, Evidence for Everyday Health Choices, in April 2016. 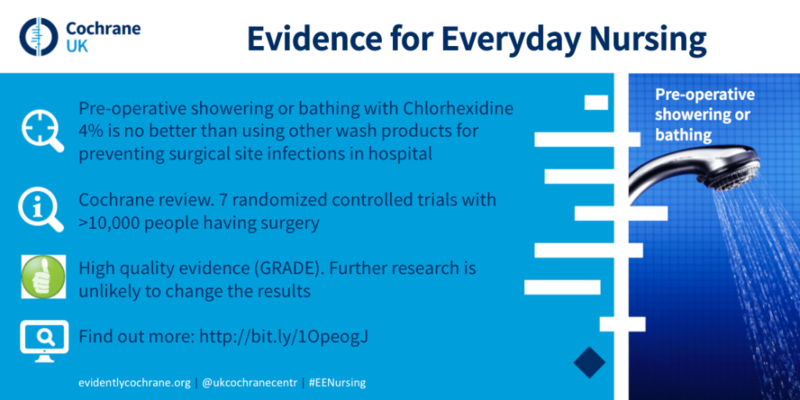 Evidence for Everyday: new for nurses and midwives by Sarah Chapman is licensed under a Creative Commons Attribution-NoDerivatives 4.0 International License. Based on a work at https://www.evidentlycochrane.net/evidence-for-everyday-new-for-nurses-and-midwives/.